Forget the shadowy glimpse of the big G from the teaser trailer, forget the artist's rendering on this model package. Here's an actual action figure of the new Godzilla design, shown in good lighting, that reveals the King of the Monsters in full, clear detail from the top of his head to his massive toes. Could this be what the brand new Godzilla looks like? We knew about his thick neck already, and the arms are a bit tinier than I was expecting, but I have no problems here. 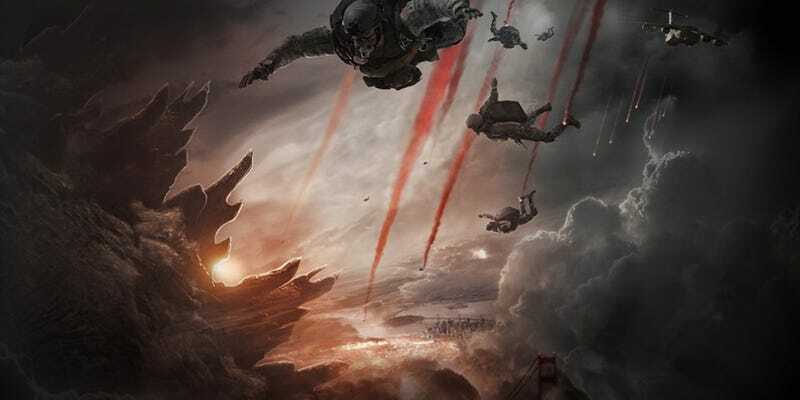 As long as Godzilla is 1) shooting energy beams from his mouth and 2) not burrowing through Manhattan or giving birth to Jurassic Park rip-offs, I'm down. Godzilla opens on May 16th.